Nestlé launched two new limited-edition products in the UK. Credit: Nestlé UK and Ireland. Swiss food and beverage company Nestlé has launched a new limited-edition gingerbread-flavoured drink in the UK. Nescafé Gold Gingerbread Latte is produced by Nestlé using coffee and British milk in Cumbria. Nescafé’s senior brand manager Taka Ota said: “Our Gingerbread Latte first debuted as a limited-edition back in 2013, but this year its back for another limited run after popular demand! UK-made Gingerbread dates back to the 18th century and was first made in Market Drayton, Shropshire. Nestle has also launched Gingerbread Matchmakers by Quality Street, a crunchy stick-shaped confectionery made with a blend of milk and dark chocolate. The company claims that the chocolate is free from artificial colours, flavours and preservatives. Quality Street’s brand manager Rebecca Holt said: “Nestlé likes to move with seasonal trends and recipe innovations so it was only right we brought our latest limited-edition to UK consumers in time for the festive season! 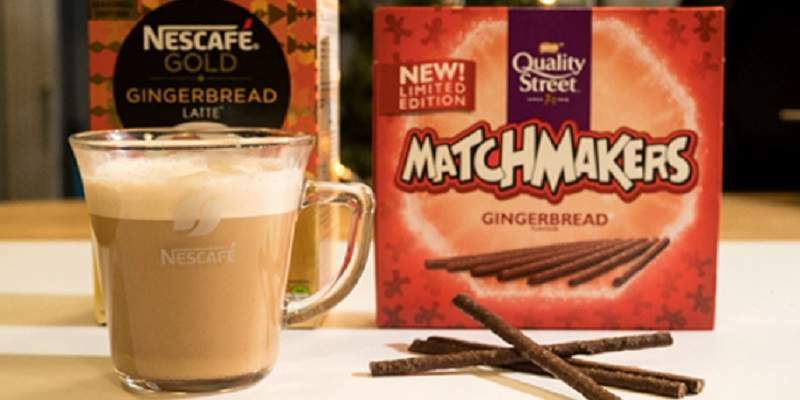 Nescafé Gold Gingerbread Latte is available in retailers across the UK, while Quality Street Gingerbread Matchmakers is exclusively available at Tesco.